Use stories, songs, finger plays, poems and so much more for inventive, original storytelling! 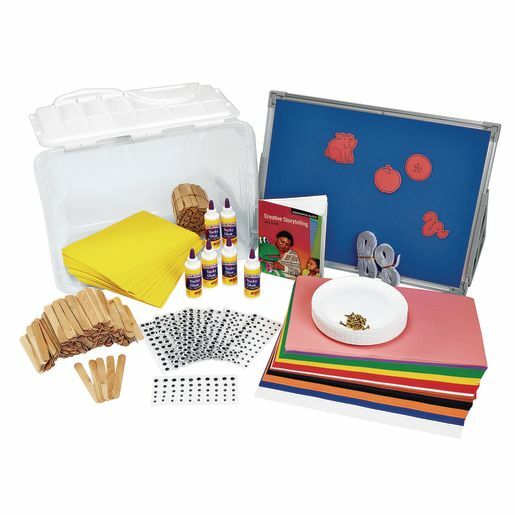 Use the large collection of story accessories with the included Creative Storytelling guide do develop language skills and healthy imaginations. Includes clear storage tote.